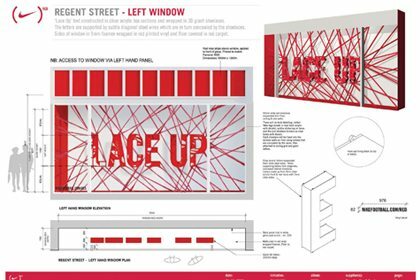 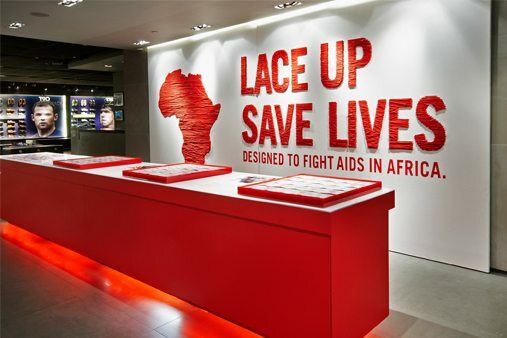 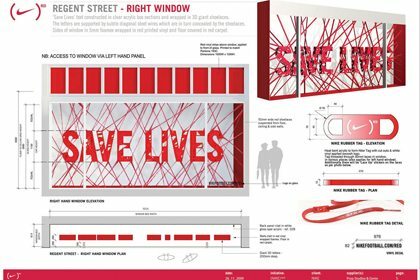 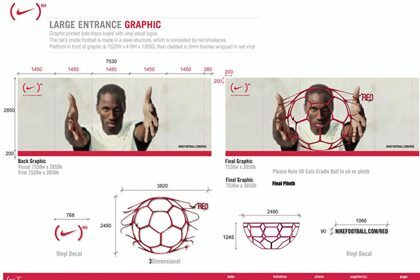 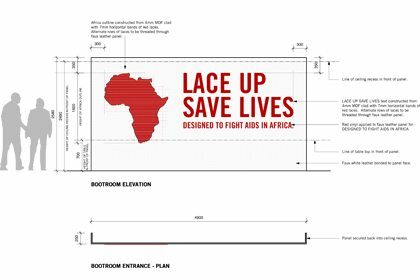 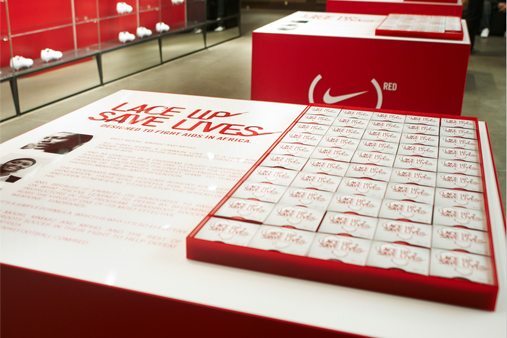 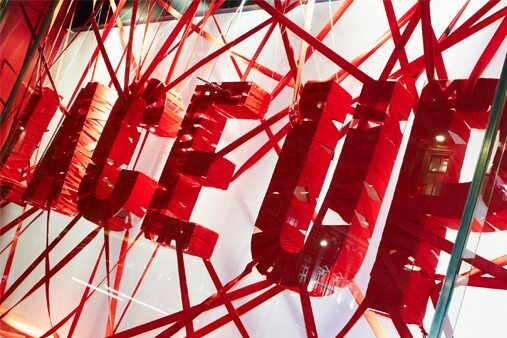 To launch the ‘Lace Up, Save Lives’ NIKE (RED) Campaign Prop Studios designed, manufactured and installed the campaign into Niketown on London’s Oxford Circus. 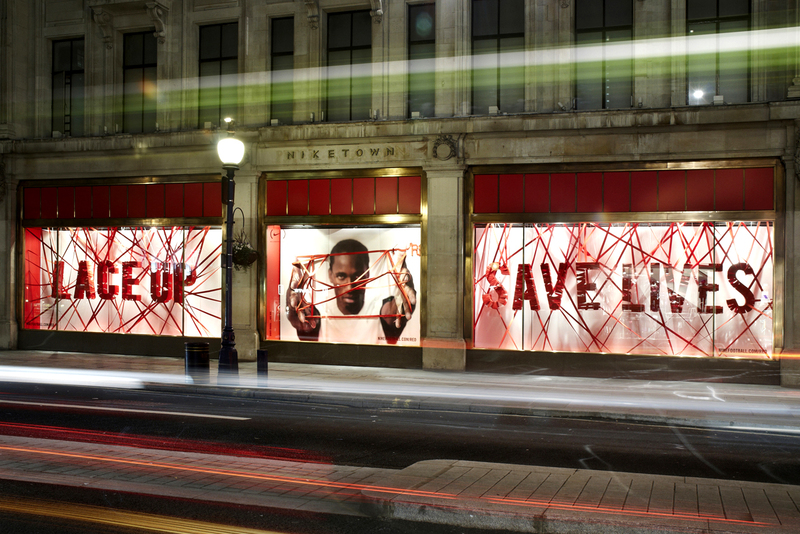 It is by far the best marketing launch that we have done in Nike Town London - I would even say globally across all Niketown's!" 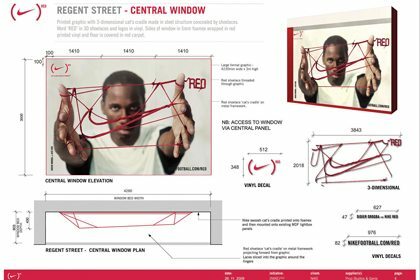 Prop Studios created a full window scheme across Niketown with our sister division, FormRoom, fitted out all interior activations across all four floors of this mega-store. 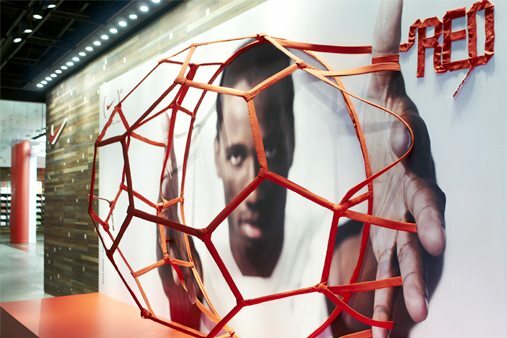 Over 5,000 metres of lace was hand sculpted to create multiple installations. 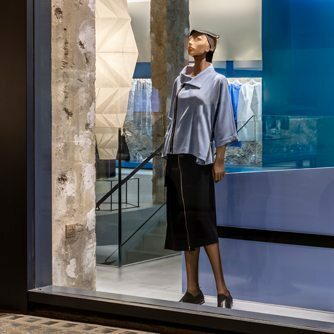 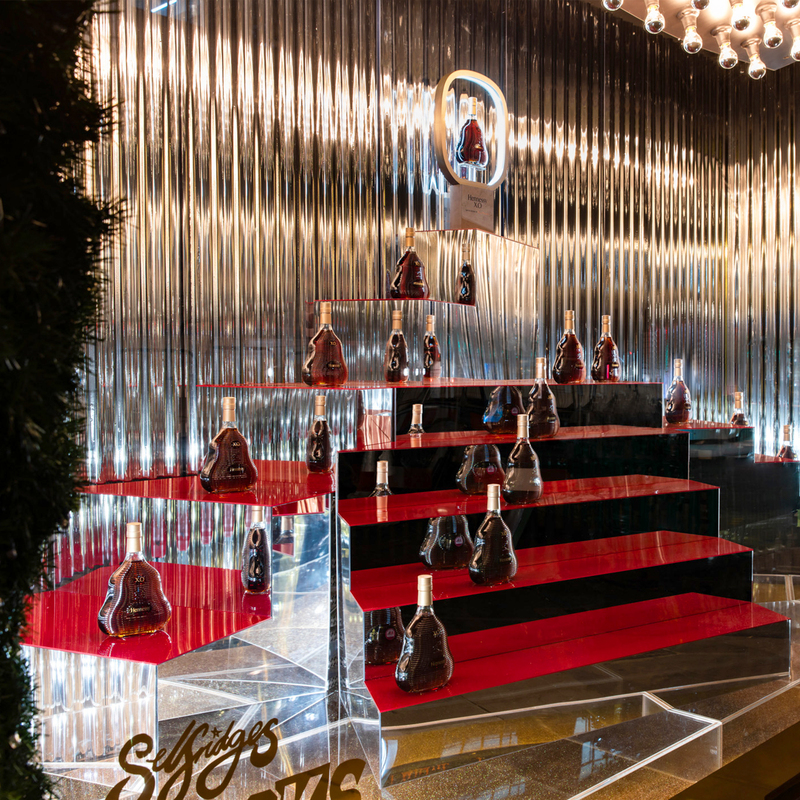 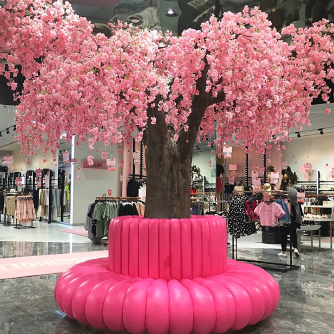 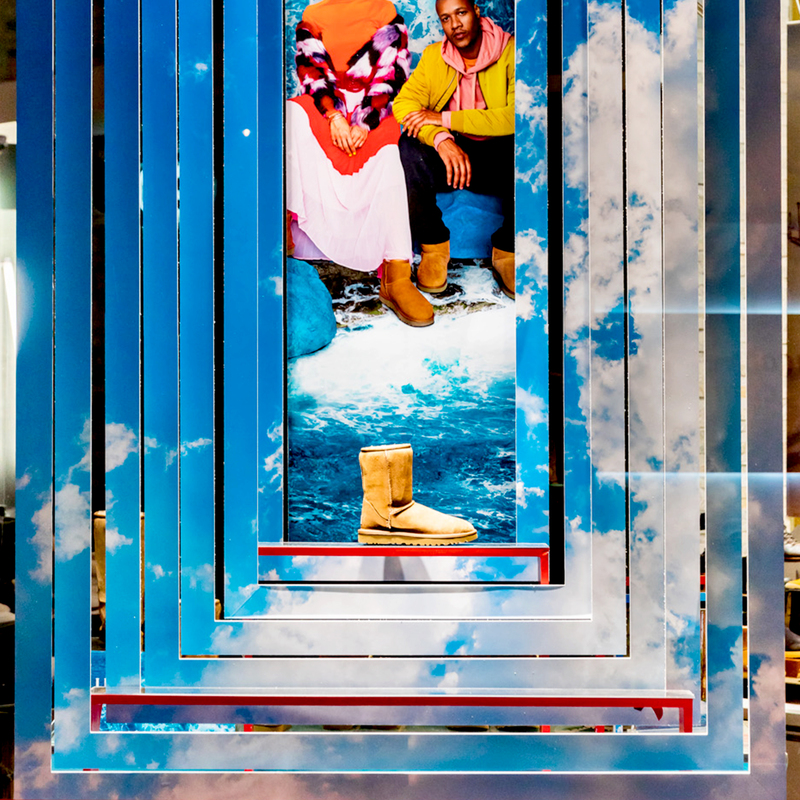 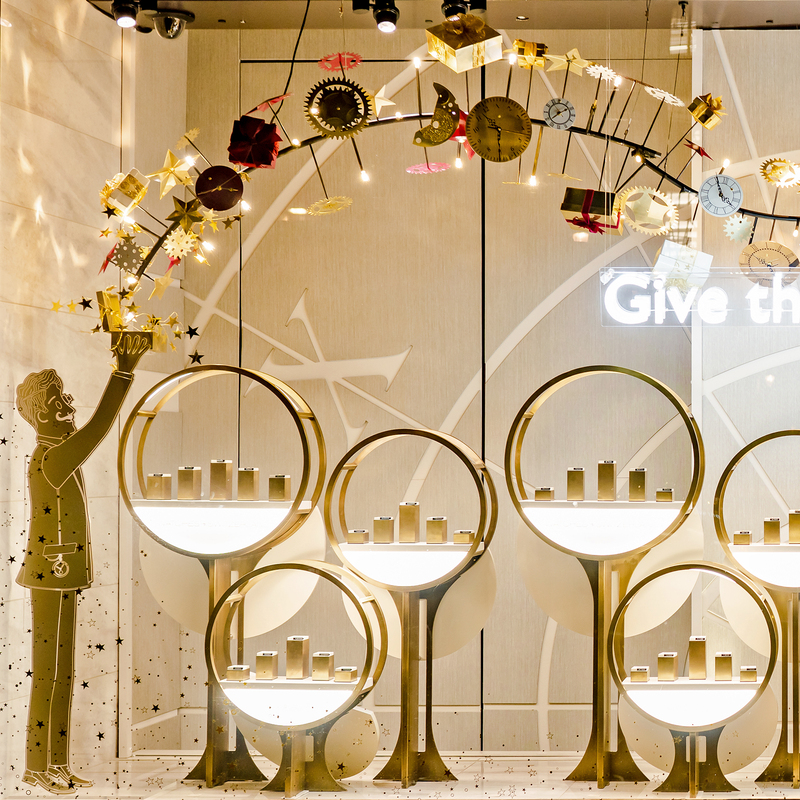 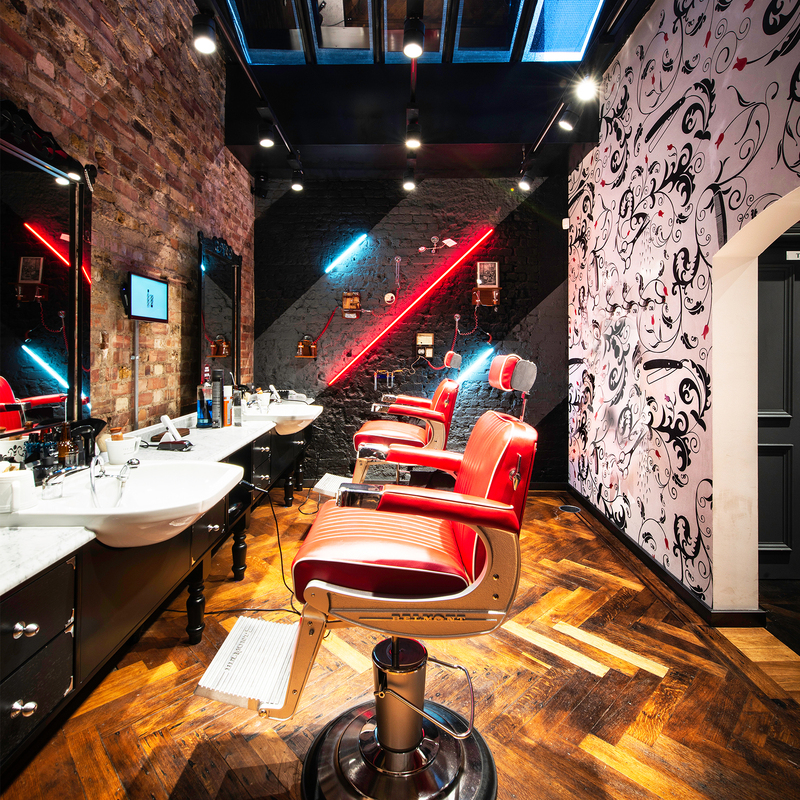 Prop Studios designed, produced and installed all campaign elements including sculptural installations, in-store graphics, outdoor signage and lighting.